UPDATE: Cody Kenneth Aaron has been arrested and booked in OCC on the Felony Simple Burglary charge. The investigation is continuing and more arrests are expected. 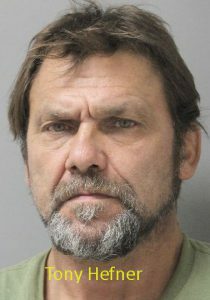 Tony Ray Hefner, age 53 of Calhoun was arrested by Ouachita Parish Sheriff’s Investigators and booked in OCC on the warrant charge of being a Fugitive of Justice in Union Parish where he is facing charges in connection with numerous thefts. 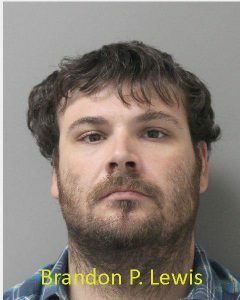 Brandon P. Lewis, age 30 of West Monroe, has been arrested and booked in OCC on 2 Felony counts of Possession of Stolen Things for his involvement in recent thefts in Ouachita parish. 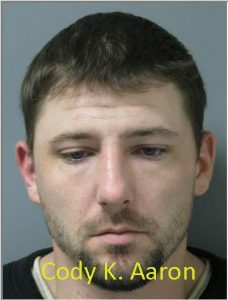 An arrest warrant has been issued for a third suspect, Cody Kenneth Aaron, age 31 of West Monroe. Aaron is charged with 1 count of Simple Burglary that occurred in Ouachita Parish. Investigators are currently searching for Aaron on the warrant charge. 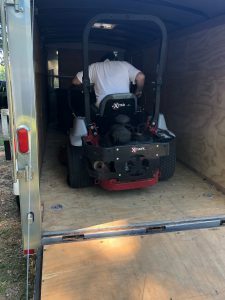 Thus far in the investigation, OPSO Investigators have recovered a Suzuki motorcycle, two utility trailers, 2 zero turn lawn mowers, a television, miscellaneous tools and other items. 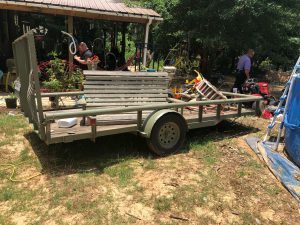 The items had been taken from the areas of Netherland Street, Calhoun School Road and Marion Sims Road. Anyone with any information as to the whereabouts of Cody Kenneth Aaron is asked to contact the Ouachita Parish Sheriff’s Office at 318-329-1200.